This might be the smallest telephone box ever! Squeezed inside is the brightest of yellow phones, which looks quite out of place when compared to its more ancient surroundings. 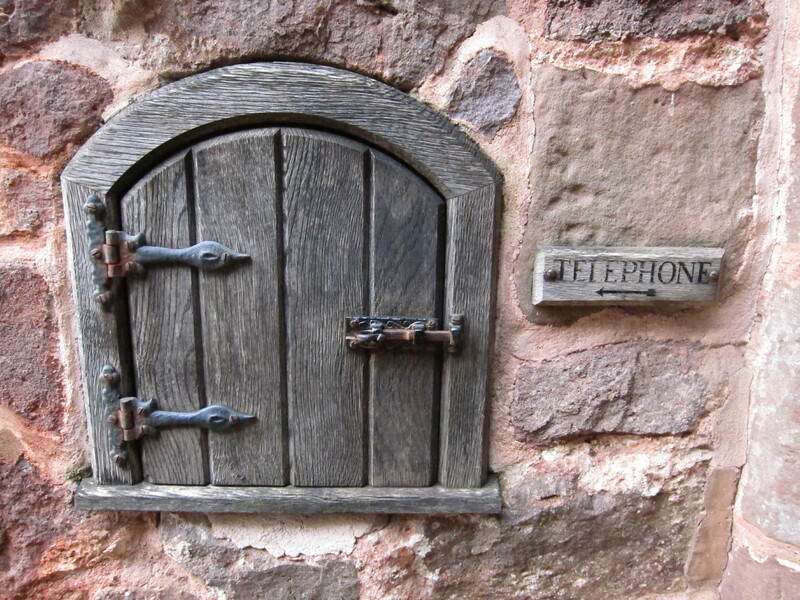 I found this at the gateway to Powis Castle, so we assumed it’s to ask for entry when the gate is locked. Spotted on the ferry when we went on deck just after leaving the dock at Poole. The lady you can see behind the door told us later she’s surprised at how many people take a photograph of this sign. We told her it’s because it’s funny to see something like that indoors. A slice of social history summed up in just a few words on a door. Seen at the National Museum of Mining for England in the pithead baths. This more honest version of the usual ‘Welcome’ mat found at a house entrance made me smile the other day.